With days becoming shorter and nights becoming colder, we yarn for warmth and comfort, thus switching from having a quick shower to having long, indulgent baths full of warming reassurance. 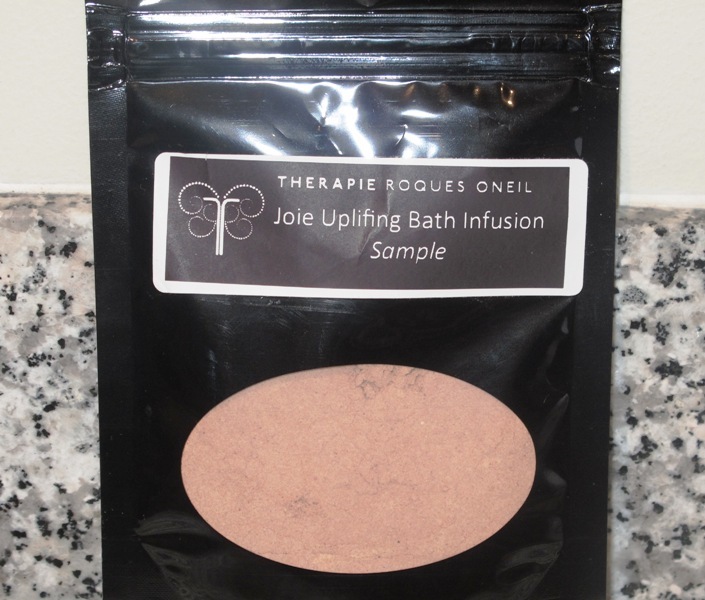 So it is very timely that Michelle Roques O’Neil just launched the latest addition to her aromatherapy range Therapie Roques O’Neil simply called Joie, meaning ‘joy’ in French. If you aren’t already acquainted with Michelle and her wonderful products, notably my favourite Himalayan Detox Bath Salts and Aura Spray, you can read my impressions here, but the love for this beautiful brand has been growing steadily this past year, with both journalists and customers singing its praises. Michelle has sent me a small sample, that was enough to make three baths and my first impression, when I opened the sachet, was the smell of pine forests that I so love and that take me back to childhood holidays in the Baltic Republics, notably Latvia and Lithuania. I think the smell alone will relax you even before you run a bath. As you will immerse yourself into hot water infused with Joie, it will ease the stresses of the day away and make you feel regally serene by the time you climb under your bed covers. This infusion helps to clear your head and slow down your thoughts, yet I also felt like smiling as I wrapped my robe tightly around me. You will find that small granules might collect on your skin, so you can just rub them up and down your skin, exfoliating your skin and further enhancing your bathing ritual by allowing a beautiful layer of skin to emerge and the old to be washed away. Everything in life has a balance and who is to say that there aren’t benefits in those longer and colder autumn or winter nights?